Having a baby to save a marriage-it's the oldest of cliches. But what if the marriage at risk is a gay one, and having a baby involves a surrogate mother? Pat Faunce is a faltering romantic, a former poetry major who now writes textbooks. A decade into his relationship with Stu, an airline pilot from a fraught Jewish family, he fears he's losing Stu to other men-and losing himself in their "no rules" arrangement. Yearning for a baby and a deeper commitment, he pressures Stu to move from Manhattan to Cape Cod, to the cottage where Pat spent boyhood summers. As they struggle to adjust to their new life, they enlist a surrogate: Debora, a charismatic Brazilian immigrant, married to Danny, an American carpenter. Gradually, Pat and Debora bond, drawn together by the logistics of getting pregnant and away from their spouses. Pat gets caught between loyalties-to Stu and his family, to Debora, to his own potent desires-and wonders: is he fit to be a father? In one of the first novels to explore the experience of gay men having a child through surrogacy, Michael Lowenthal writes passionately about marriages and mistakes, loyalty and betrayal, and about how our drive to create families can complicate the ones we already have. The Paternity Test is a provocative look at the new "family values." "It's a page-turner thanks to its realistic characters and a situation that might hit close to home for some." --"The Advocate"
"Never in a hurry, "The Paternity Test" starts out at a slow and gentle trot but works up to [a] brisk pace and, in time, to a can't-look-away ending that will leave readers feeling both shaken and pensive." --"The Gay and Lesbian Review"
Never in a hurry, "The Paternity Test" starts out at a slow and gentle trot but works up to [a] brisk pace and, in time, to a can t-look-away ending that will leave readers feeling both shaken and pensive. "The Gay and Lesbian Review"
A searingly honest portrait of love under fire, a fearless exploration of what it means to be an adult, a couple, a family. It is a story for our time. Jennifer Haigh, author of Faith"
So many different relationships are put to the test in Michael Lowenthal s thought-provoking novel not only the bond at the heart of the book between two gay men and the Brazilian woman acting as their surrogate mother, but also the bond between husbands and wives, between siblings, between aging parents and their adult children. 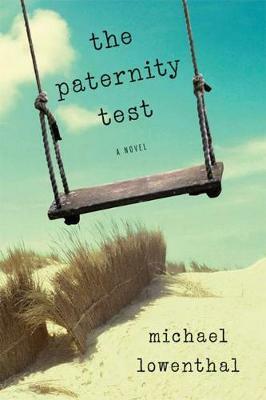 The Paternity Test is a complex, emotionally satisfying, and thoroughly engaging story. Tom Perrotta, author of The Leftovers and Little Children"
A good, old-fashioned page-turner and a sophisticated look at the mysteries of long-term love and the convoluted reasons for wanting a child. Lowenthal writes with intelligence and passion and made me care a great deal about the fates of his flawed, fascinating characters. Stephen McCauley, author of Insignificant Others"
The Paternity Test is an exuberant book a feat, considering how thoroughly Michael Lowenthal ransacks the human conditionfor itsenduring weaknesses and inevitable disappointments.Yet he manages this with such warmth and wit, bringing to his disparate, often clashingband of characters so much compassionate intelligence, that in the end we can t help rooting for each oneto find happiness even as we come away witha clearer perception of how rightly varied their different versions of happiness may be. Leah Hager Cohen, author of The Grief of Others"